The grand piano is one of the most fascinating musical instruments. Anybody who has ever pressed a few keys has a sense of how intricate its construction is and how difficult it would be to master it. Even the most advanced technology struggles in fully recreating the unique sound of a concert grand. This is exactly the challenge we face when starting work on a new virtual instrument: only with great passion and even greater patience can the final product ever come close to a real instrument. The complexity of a piano lies in the polyphonic possibilities rivaled only by a few other instruments. Its 88 keys can recreate entire orchestra sections, and is limited only by the capabilities of the instrumentalist. A grand piano consists of a huge number of parts, all made from either wood or metal. Depending on the design, a piano or grand piano can contain up to 6,000 individual pieces; which only when melded in perfect harmony can achieve the right sound. The body of the grand gives it its distinctive appearance, but it’s what lies inside that is most critical: the sounding board. This transforms the vibrations of the strings into the sound we hear. The subtleties achieved by the sounding board are what allows even the untrained ear to distinguish between different piano makers, and their exact construction and treatment is kept top secret from competitors. The characteristic of a grand is also defined by the strings themselves. The longer a string is the richer and clearer its sound will be. This way every grand piano receives its own character difficult to grasp other than in a live setting. 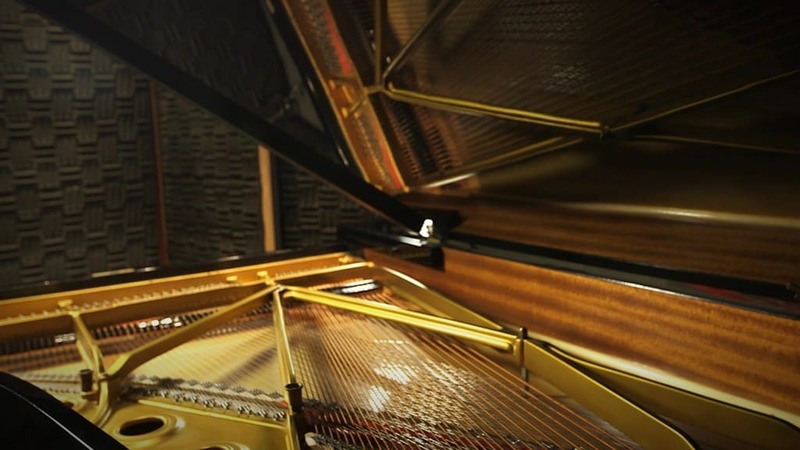 For every grand piano recording e-instruments use the best technology and microphones at our disposal. Every key is recorded separately, to faithfully recreate the entire sound palette of the piano. To make the recording as accurate and authentic as possible we place microphones around and inside the piano to capture the whole sound. For the Session Keys Grands S and Y we also recorded each instrument in two different settings: a concert setting with opened lid and a studio setting with the lid removed. The goal, as with all our creations, is to transfer the piano’s subtle harmonic structures and resonances into the digital world, whilst conserving the real feeling and soul of the instrument.